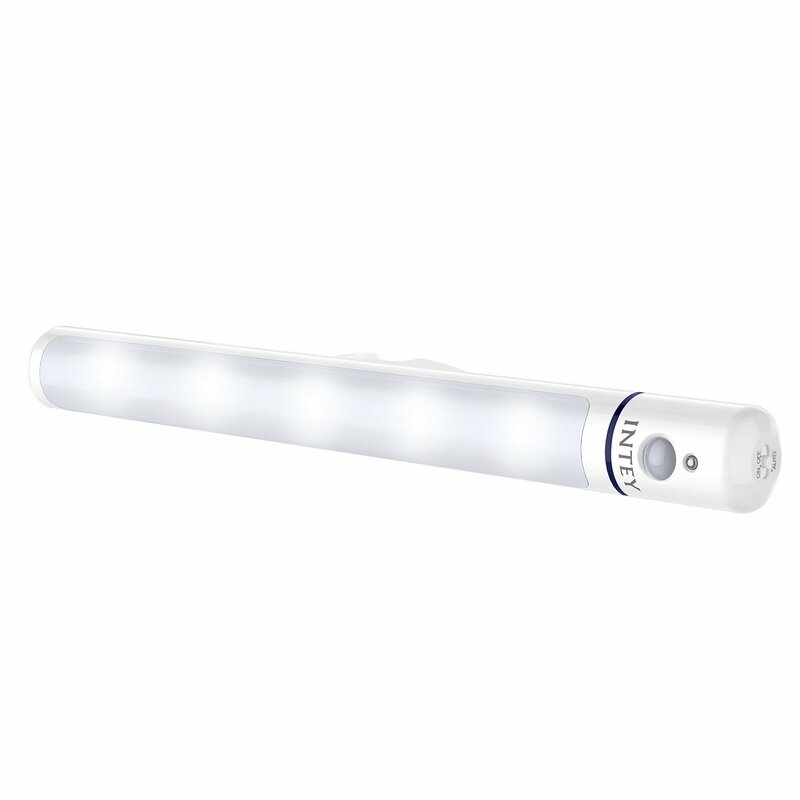 Home › Energy-Efficient LED Lighting › Intey Led Night Light With Motion Sensor 1W For Closet Attics Hallway Washroo..
Intey Led Night Light With Motion Sensor 1W For Closet Attics Hallway Washroo..
Easy to install and use anywhere - The 3M adhesive strip and magnetic base enable quick mounting wherever you need extra light. Three mode settings via the AUTO/ON button; AUTO for motion-sensitive mode. ON for constant light mode. High-end manufacture - 5 LEDs emit a bright glow, yet the opaque lamp shade diffuses light evenly, preventing harsh glare. Warranty - Intey provides all our customers 24 months warranty from the date of its original purchase. About Product: The Intey LED Night Light is ideal for dark places, it couldbe stall anywhere you need light without having to look for light switch. Thebase can be screwed into the wall/cabinet or you can use double sided tape(both are included including screw anchors) the base is magnetic so the lightis easy to remove and put back onto the base as there is a metal part that themagnet on the base connects to. What makes this motion sensing light uniqueis that you can rotate it 180, could angle the light up or down if you needto. Specifications: Input Voltage: DC 4.5V 200mA Material: ABS+PC PowerConsumption: 1W10% Induction Distance: 3m Induction Angel: 100 WorkingHours: Continuous Working - 14 hours; Activated Mode - 2 Years Note: Pleaseselect the installation place carefully before adhere the base to the surface.It will be hard to get off the base due to the strong viscosity of the doublesided tape. Please take out the batteries or set the switch to OFF when thedevice is not in use. Please keep the light far away any heat source or watersource, and keep it dry and clean.